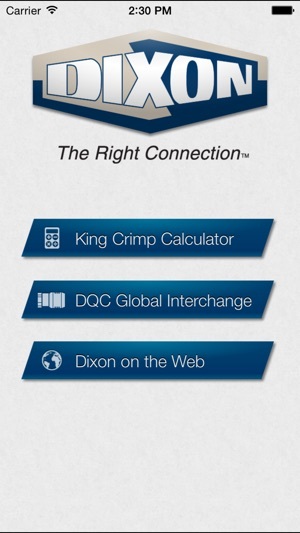 The King Crimp calculator and Dixon Quick Coupling Global Interchange are brought to you by Dixon. 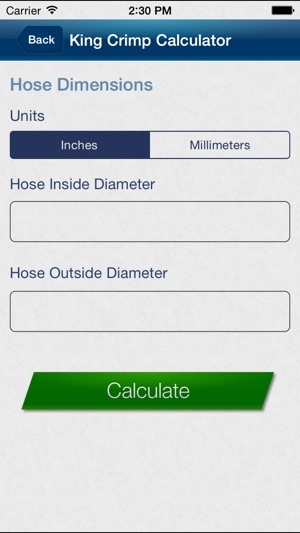 The King Crimp Calculator allows the user to enter hose dimensions with a resulting crimp diameter and corresponding sleeve, ferrule and fitting part numbers all linked to the product’s specification page on the Dixon website. 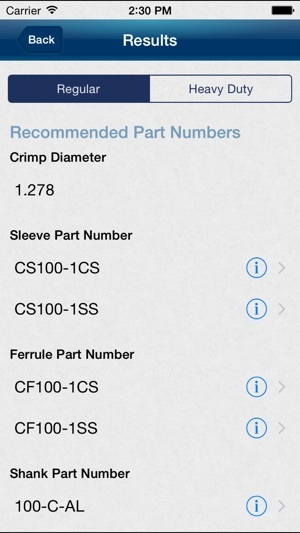 "Competitor Part Number" label now reads "Competitor Part Number (Required)"
We use Campbell sleeves, but Dixon swage all the time and it would be a complete app for me if it was included. 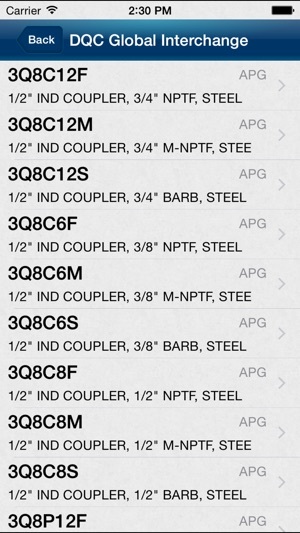 © February 2012 Dixon Valve & Coupling Co.